Scan QR code using your mobile victim number. After scanning code his/her account will be signed. When you scan code successfully you will see something like this. Next time you visit web.whatsapp.com, you will see logged in account. The main limitation of this technique is that it will work until your victim has the working internet connection. If he/she turned the internet of, you would �... Hack WhatsApp Qr Code! Tracking Application to gps Monitor a Android mobile. Here is the Secretly Way to View Multimedia Content Secretly. Tracking Application to gps Monitor a Android mobile. Here is the Secretly Way to View Multimedia Content Secretly. 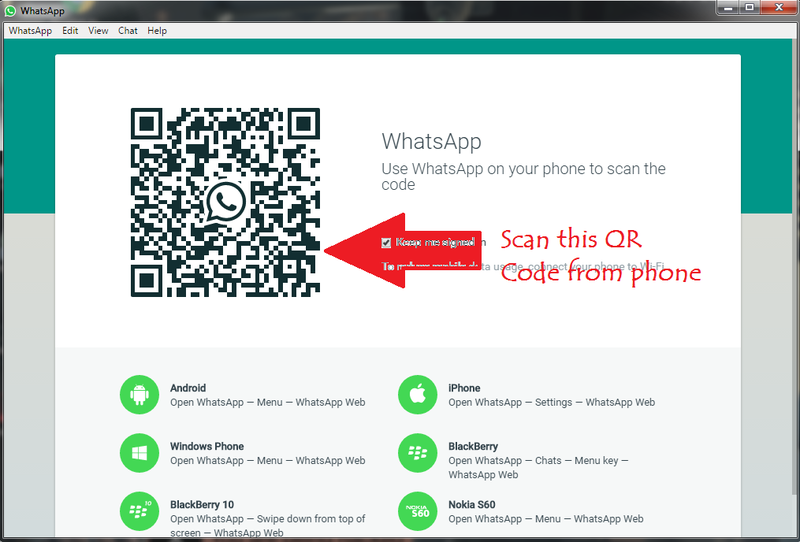 Jun 06, 2018 � How to use Whatsapp web qr code scanner on your mobile device � Whatsapp Web:- Hello friends, most of us know that WhatsApp is a mobile application and the official desktop software of WhatsApp is not available.But there is an official way to use your WhatsApp Account in your web browser like Google chrome, Firefox or any others.... 17/10/2016�� -go to "whatsapp web" and press "+" or scan qr code. After scaning QR code your friends Whatsapp will be showing in you phone. If you have any problem you can send me messages and comments. Hack WhatsApp Qr Code! Tracking Application to gps Monitor a Android mobile. Here is the Secretly Way to View Multimedia Content Secretly. Tracking Application to gps Monitor a Android mobile. Here is the Secretly Way to View Multimedia Content Secretly.... This will start up a QR Code scanner which you need to use to scan the QR Code in the browser of your tablet. Now you can use WhatsApp on your tablet using WhatsApp Web. The only caveat here is that the WhatsApp session is now bound to the battery life and internet connection of your phone. SOLUTION. Okay, first of all - you have to scan the QR-Code with the scanner that is built in WhatsApp. Not with some 3rd-party scanner-app. Click on "Whatsapp Web", then the scanner opens immediately. This will start up a QR Code scanner which you need to use to scan the QR Code in the browser of your tablet. Now you can use WhatsApp on your tablet using WhatsApp Web. The only caveat here is that the WhatsApp session is now bound to the battery life and internet connection of your phone.